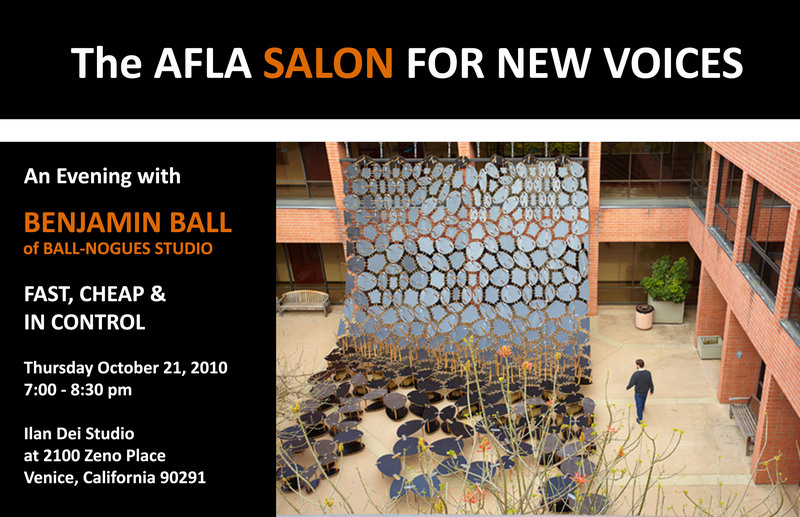 Ball-Nogues Studio is an integrated design and fabrication practice led by Benjamin Ball and Gaston Nogues. The Studio creates experimental built environments to enhance and celebrate the potential for social interaction through sensation, spectacle and physical engagement via the production of architecture, art and industrial objects. They work with unusual materials, develop new digital tools, and apply architectural techniques in unorthodox ways. They seek opportunities to build that are outside the treacherous restraints of the conventional architectural milieu. The Studio has exhibited at major institutions throughout the world, including the Museum of Contemporary Art, Los Angeles; the Museum of Modern Art: the Guggenheim Museum: and PS1, to name a few. They have received numerous honors including two AIA Design Awards, United States Artists Target Fellowships and a grant from the Graham Foundation for Advanced Studies in the Fine Arts. Recently, their work became part of the collection at MoMA. ﻿AFLA Members are free. Non-Members pay $5 at the door. Margaret Griffin is a co-founder of Griffin Enright Architects. Her work combines innovation and experimentation to bring cutting-edge design to the built environment. 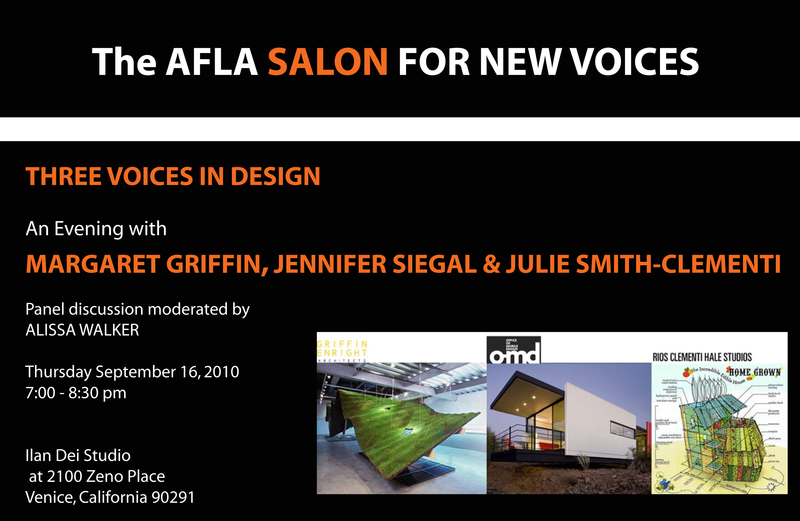 Learn more about Margaret Griffin at www.griffinenrightarchitects.com. Jennifer Siegal is the founder of OMD, Office of Mobile Design. Innovative mobile structures produced by the firm range from prefab to customized to green Modernist homes. She is dedicated to the design and construction of sustainable structures. Learn more about Jennifer Siegal at www.designmobile.com. Julie Smith-Clementi, IDSA is a principal of Rios Clementi Hale Studios. Along with the development of the firm’s architecture projects, Ms. Smith-Clementi heads up Product Development of RCH Studios. She spearheads the growth and development of notNeutral, the Studio’s housewares product company. Learn more about Julie Smith-Clementi at www.rchstudios.com.